Beauty with brains. Discover the one lipstick that thinks it's a lip balm. 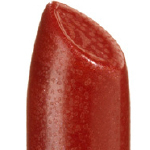 The cleanest, safest, prettiest lipstick for those who love lipstick. And who doesn’t. Our FlowerColor Lipstick is created with a simple healthy formula of vegetable waxes, oils, and mineral pigments that go on creamy and won't feather. 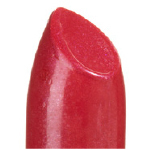 Like a lip balm, Ecco Bella FlowerColor natural lipsticks moisturize without flaking or chapping. Naturally-preserved. Gluten, FD&C dye, petroleum and fragrance-free. All lipsticks are vegan except Claret Rose, Mauve Rose, Napa Grape, Pink Rose, Primrose, Sangria, Tuscany Rose and REDvelation which are colored with carmine. Now, gorgeous lips have it made in any shade. first time user of ecco bella products and after much researching different organic/all natural beauty products I decided to go with Ecco Bella as they have no dyes in their lipstick and they had so many great reviews. I was concerned it wouldn't last long so I also bought the darker shade of lipliner they sell and so with the lipliner and then the lipstick, I only need to apply a quick swipe after I eat lunch and even then it's not bad and just looks like a natural color. also very moisturizing my lips actually look better! at first, i thought the color was a little dark but on camera it looks much redder than in person. either way i have received so many compliments and my husband says it the color looks so much better on me than my previous lipstick. so happy I decided to go with Ecco Bella! I've been using this color for years. Occasionally, I try a different lipstick but always go back to Ecco Bella Merlot. The color is beautiful, the product is moisturizing, and it doesn't bleed! I've never found a better color or lipstick! EB lip color is so natural -I love the hues, the way it feels on my lips and the way lasts for hours! I have sensitive lips and have never been able to use lip products, other than chapstick, especially lipstick. This is the best natural lipstick and doesn't irritate my lips and the color is great! I already had Tuscany Rose and Pink Rose. I just added Claret Rose and REDvelation to my collection. Let's just say the first day I wore Claret Rose to class and got three compliments as soon as I walked in the door. Keep Going Back To It! Napa Grape is a gorgeous, soft and moist lipstick. Love this color! I keep going back to it. A new favorite. Tuscany rose is such a beautiful color. I bought this lipstick and lost it. I was so bummed out, so I bought another one. It feels great on your lips, nice and creamy and it doesn't cake up. Store bought lipsticks make me cough! It is amazing what the Merlot color does for me. People comment! My local store stopped carrying Ecco Bella I was thrilled to be able to find it online. I have sensitive lips and no lipstick or lip gloss has ever worked without making my lips dry and flaky. This product has exceeded expectations! I love this lipstick. I'm sensitive to just about everything, but I can wear the Peach Frost all day every day without any problem. It's a very pretty color - not too dark or too brown like some neutral-toned lipsticks. And it lasts for hours. Though it's called frost, it's not iridescent. It has a matte finish that's creamy without being too oily. Wonderful product.